Congrats to our 2017 participants! 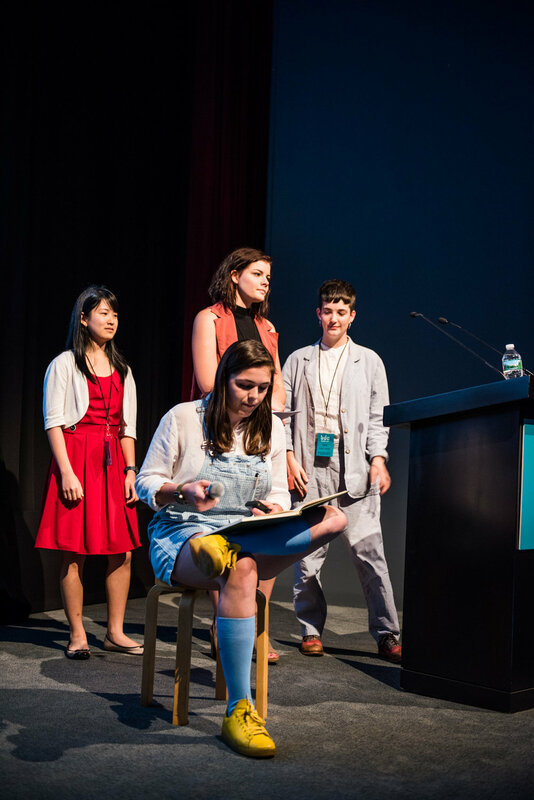 On June 22nd and 23rd, 24 student teams from 22 universities around the world gathered at the Biodesign Challenge Summit at the Museum of Modern Art (MoMA) in New York City. The teams, chosen from more than 400 participating students, showcased their projects and competed for prizes including the Glass Microbe. 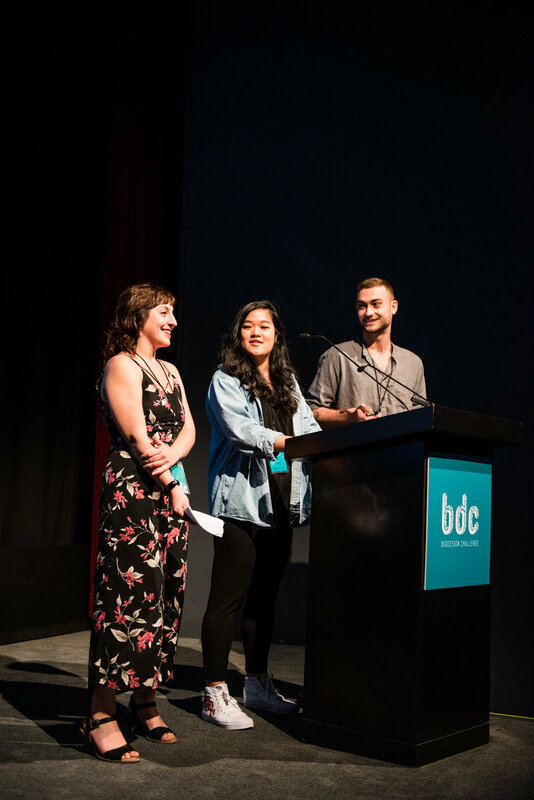 THE FUTURE WILL BE GROWN was the BDC 2017 student exhibition. 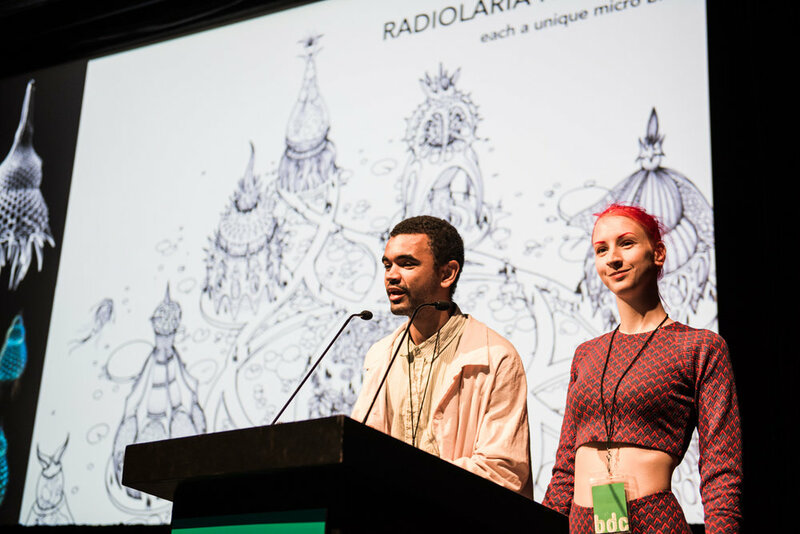 The show’s title plays on Salvador Dali’s famous proclamation that the future of architecture “will be soft and hairy.” The student projects portrayed futures where materials, garments, foods, and more will be produced with the tools of biotech and through symbiotic relationships with other species. 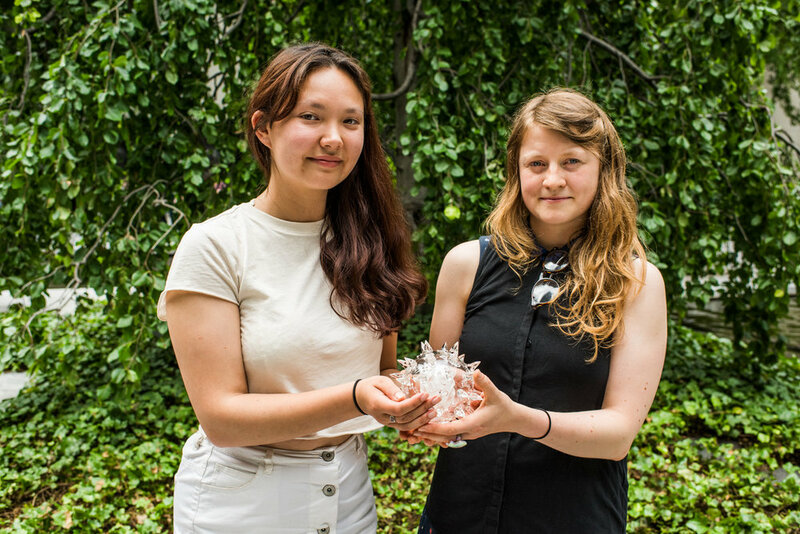 The 24 projects chosen from over a hundred developed throughout 2017 by university students working with art and design professors, scientists, and subject-matter experts explored the many possible ways biotechnology may reshape our lives and environment. The exhibition was open from June 22nd - June 26th. For more images of the gallery show, click here. Randal J. Kirk has served as Chief Executive Officer of Intrexon, a company helping to address some of the world’s most pressing challenges through engineering biology, since April 2009 and Chairman of the Board since February 2008. Mr. Kirk is also the Senior Managing Director and Chief Executive Officer of Third Security, LLC, an investment management firm he founded in March 1999, and currently serves on the board of directors of Halozyme Therapeutics Inc. and ZIOPHARM Oncology Inc. Previously, Mr. Kirk founded and became Chairman of the Board of New River Pharmaceuticals Inc. in 1996, and was President and Chief Executive Officer between October 2001 and April 2007. Additionally, he served as Chairman of the Board of Clinical Data, Inc., and was on the board of directors of Scios, Inc. Mr. Kirk also served on Radford University’s board of visitors and as Rector of the board of directors, on Radford University Foundation Inc.’s board of directors, on the board of visitors of University of Virginia and Affiliated Schools, on the Virginia Advisory Council on Revenue Estimates, and on the Governor’s Economic Development and Jobs Creation Commission. He received a B.A. in Business from Radford University and a J.D. from the University of Virginia. Daniel J. Kevles writes about issues in science, technology, and society with a focus on the United States. His particular research interests include the history of physics, biology, scientific fraud and misconduct, biotechnology, plant and animal breeding, and illustrations of cattle, sheep, and fruits. From 1964 to 2001, he taught at the California Institute of Technology. In 2001 he joined the faculty of Yale University where he was the Stanley Woodward Professor of History and taught regularly as an adjunct in the Law School until his retirement in 2015. He is currently a Visiting Interdisciplinary Fellow at NYU Law School. Daniel's works include The Baltimore Case: A Trial of Politics, Science, and Character; In the Name of Eugenics: Genetics and the Uses of Human Heredity; and The Physicists: The History of a Scientific Community in Modern America. He is also co-editor, with Leroy Hood, of The Code of Codes: Scientific and Social Issues in the Human Genome Project and is a co-author of Inventing America: A History of the United States. He received his B.A. from Princeton University (Physics) in 1960, training at Oxford University (European History) from 1960-61, and his Ph.D. from Princeton (History) in 1964. Heather Dewey-Hagborg is a transdisciplinary artist and educator who is interested in art as research and critical practice. Her work has been shown internationally at events and venues including the World Economic Forum, Shenzhen Urbanism and Architecture Biennale, the New Museum, the Centre Pompidou and PS1 MOMA. Heather has a Ph.D. in Electronic Arts from Rensselaer Polytechnic Institute, a Masters degree from the Interactive Telecommunications Program at New York University, and a B.A. in Information Arts from Bennington College. She is an Assistant Professor of Art and Technology Studies at the School of the Art Institute of Chicago and a 2016 Creative Capital award grantee in the area of Emerging Fields. William Myers is a curator, writer, and teacher based in Amsterdam. His book Biodesign (2012), published by MoMA, identifies the emerging practice of designers and architects integrating living processes in their work. Bio Art: Altered Realities (2015), published by Thames & Hudson, profiles art that uses biology in new ways or responds to research in the life sciences that alters our notions of identity, nature, and the definition of life. His writing and exhibitions have been profiled in the journal Science, The New York Times, The Wall Street Journal, New York Magazine, Smithsonian Magazine, Volkskrant, and Folha de São Paulo, among others. William has lectured at Harvard University, the Tate Modern, Universitário Belas Artes de São Paulo, International University of Catalunya, Leiden University, and Royal College of Art. He has worked at MoMA, the Guggenheim Museum, the Smithsonian Cooper-Hewitt National Design Museum, Vitra, TU Delft, and The New Institute in Rotterdam. Daniel Beiting is a Research Assistant Professor at University of Pennsylvania School of Veterinary Medicine where he directs the Center for Host-Microbe Interactions. He has a doctorate in immunology from Cornell University, where he studied how the immune system copes with chronic parasitic infections. Dan uses genomics to study pathogens and the people and animals they infect. Amber Benezra is an anthropologist researching how studies of human microbiota intersect with biomedical ethics and public health/technological infrastructures. She is developing an “anthropology of microbes” to address global health problems across disciplines, and will begin as an Assistant Professor of Science and Technology Studies at NYU in the fall. Katayoun Chamany is the Chair and Mohn Family Professor of Natural Sciences and Mathematics and Director of the University Labs at The New School. She is a leader in interdisciplinary curriculum development and recently launched Stem Cells Across the Curriculum, an open access collection of education modules that incorporates social justice through infographic thinking. Kim de Mora is Director of Development at the iGEM Foundation. He received one of the first Synthetic Biology doctorates in the UK in 2011 from the University of Edinburgh. Kim was a visiting Research Scholar in Pam Silver’s lab at Harvard Medical School. Anthony Dunne is Professor of Design and Emerging Technology, and a Fellow at the Graduate Institute for Design, Ethnography & Social Thought at The New School. He is a partner in the design studio Dunne & Raby. Between 2005-2015 he was professor and founding head of the Design Interactions program at the Royal College of Art in London. Irwin Adam Eydelnant is Founder and Creative Scientific Director of Future Food Studio & BEVLAB where he leads multidisciplinary teams to reimagine how we interact with food at every scale. He holds a B.Eng. and M.Eng. (Chemical Engineering) from McGill University and a Ph.D. (Biomedical Engineering) from the University of Toronto. Paul Freemont is co-director and co-founder of the Centre for Synthetic Biology and Innovation and the National UK Innovation and Knowledge Centre for Synthetic Biology at Imperial College London. He is Head of the Section of Structural Biology in the Department of Medicine at Imperial and author of 200+ scientific publications. Jeanne Garbarino is the Director of Science Outreach at The Rockefeller University where she works with the local K-12 community to provide equitable access to biomedical research opportunities and resources. She earned her Ph.D. in metabolic biology from Columbia University, followed by a postdoc in the Laboratory of Biochemical Genetics and Metabolism. Kirby Gookin is a writer, curator, and professor of critical studies at New York University and The School of Visual Arts. His projects focus on the role of art in human rights initiatives, empowering communities, and shaping bioethics. He recently co-curated The Value of Food: Sustaining a Green Planet (2015-16) with Robin Kahn at The Cathedral of St. John the Divine in New York City. Christine Gould is the Founder of Thought For Food (TFF) and Head of Next Generation Engagement at Syngenta. She created TFF to inspire, connect and empower young innovators in food security. As an intrapreneur at Syngenta, she is obsessed with finding ways to make agricultural innovation more open and collaborative. Gigi Gronvall is a Senior Associate at the Johns Hopkins Center for Health Security and Visiting Faculty at the Johns Hopkins Bloomberg School of Public Health. Her work addresses the role of scientists in health security. She is the author of Synthetic Biology: Safety, Security, and Promise, published in 2016. Cyrill Gutsch is an award-winning designer and brand and product developer. In 1998, he created a method called Cross Intelligence, which brings a culture of collaboration to major organizations. In 2012, he decided to focus on a new client vital to us all: the oceans. He then founded Parley as a collaboration network for creators, thinkers, and leaders to create awareness for the beauty and fragility of the oceans and to develop and implement strategies that can end their destruction. Denise Hoffman Brandt is principal of Hoffman Brandt Projects, LLC and Director of Landscape Architecture in the Bernard and Anne Spitzer School of Architecture at the City College of New York. Her work focuses on landscape as ecological infrastructure—the social, cultural and environmental systems that sustain urban life and generate urban form. Sarah J. Hough earned a Bachelor of Science in Design and a Master’s of Science in Technology from Arizona State University. She’s been a practicing designer/visual communicator for nearly 20 years and adjunct design technology faculty at ASU. She is currently Director of Communications and Strategy for the ASU Herberger Institute for Design and the Arts, which is known for its innovative collaborations and interdisciplinary work across sectors, including design and arts with science and technology. Gillian Jarvis is the Director of Design at Twist Bioscience. She is responsible for brand innovation and designing a clear, clean user experience for ordering DNA online. She has worked for eBay and Microsoft and is excited about the improving the future with synthetic biology. Nancy J Kelley is the President and CEO of Nancy J Kelley + Associates. She is a nationally recognized executive and lawyer who has driven key strategic initiatives in science and medicine for over twenty years. She has a deep understanding of the healthcare, life science and research fields specifically related to legal, business, government, nonprofit and academic sectors. Todd Kuiken is a Senior Research Scholar with the Genetic Engineering and Society Center at NC State where he explores the scientific and technological frontier. He is a member of the United Nations Convention on Biological Diversity Ad-Hoc Technical Expert Group on Synthetic Biology. Margaret MacDonald is a Curator and Instructor at Maryland Institute College of Art. She holds a Ph.D. in Chemistry from The University of North Carolina at Chapel Hill. She has worked as a research chemist for the US Army, as an Andrew W. Mellon Fellow in Conservation Science at the Metropolitan Museum of Art, and a Postdoctoral Fellow at the National Gallery of Art. Oliver Medvedik is a Genspace co-founder and the Director of the Kanbar Center for Biomedical Engineering at The Cooper Union. He received his bachelor’s degree in biology from Hunter College, City University of New York. He received his Ph.D. from Harvard University in Biomedical and Biological Sciences. Megan Palmer is a Senior Research Scholar in biotechnology policy and security at the Center for International Security and Cooperation at Stanford University. She also serves as Director of Human Practices for iGEM and is the executive director of the LEAP fellowship. She previously co-directed the policy-related research program for a multi-university center in synthetic biology (Synberc). She holds a Ph.D. in Bioengineering from MIT. Jane Pirone is the Dean of the School of Design Strategies at Parsons School of Design. She served as Director of the Communication Design program until Summer 2011. Her research focuses on methods of interdisciplinary and collaborative design practice and the creation of location/mobile/networked-based media projects. Hannah Rogers is a Lecturer of Science, Technology, and Society at University of Virginia. She received her Ph.D. at Cornell University in Science & Technology Studies where she focused on the intersection of art and science. She curated Art’s Work in the Age of Biotech at the Contemporary Art Museum in Raleigh, NC, and Emerge: Artists and Scientists Redesign the Future at ASU. Harris Wang is as an Assistant Professor at Columbia University in the Department of Systems Biology and the Department of Pathology and Cell Biology. He received B.S. degrees in mathematics and physics from MIT and a Ph.D. in biophysics from Harvard. His lab applies synthetic biology to engineer microbial communities to better monitor and improve health. Amy Whitaker is Assistant Professor of Visual Arts Administration at NYU Steinhardt. She is the author of Art Thinking: How to Carve Out Creative Space in a World of Schedules, Budgets, and Bosses (Harper Business, 2016). She holds an MBA from the Yale School of Management and an MFA in painting from the Slade School of Fine Art at University College London. Elizabeth Wissinger is Professor of Fashion Studies and Sociology at City University of New York, the Graduate Center, and BMCC. Her research focuses on technology, fashion, and embodiment. She is the author of This Year’s Model: Fashion, Media, and the Making of Glamour (New York University Press, 2015). Her research focuses on how wearable tech’s fusion with biotech impacts gender and embodiment. Jenifer Wightman is a scientist, educator, and artist. Trained in environmental toxicology, her research at Cornell University specializes in greenhouse gas inventories and life cycle analysis of agriculture, forestry, waste, and bioenergy systems. She teaches at Parsons School of Design. Isabelle Wymann is Director of Communications at Evolva where she leads the effort to weave design thinking into external communications and beyond. Her industrial expertise spans transportation fashion, semiconductors, and biotech. She holds an MBA with dual degree from EBS Edinburgh and FHNW Basel.